Dan anchored for Nightline on Wednesday, April 23th for an interesting episode featuring an investigative piece by ABC’s Chief Investigative Correspondent, Brian Ross on the company “Herbalife”. Herbalife sells diet products to nearly 3 million distributors and is in the mists of a controversy, currently under investigation by the FBI and the Federal Trade Commission for allegations of being an illegal pyramid scheme. 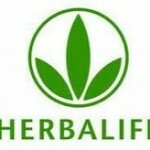 The president of the company claims Herbalife is not misleading anyone in their sales pitches to gain more distributors. But to find out if the company is truly being honest about the realistic outcome of success and income being an Herbalife distributor, The Brian Ross Unit sent two ABC journalists undercover to become Herbalife distributors. What did they discover? Watch the full episode here.